I am MA based student . We are searching for a qualified , fair, slim , beautiful and decent match. She has completed her graduation in speech and hearing and working as an audiologist in UAE. a libran who is very friendly, god fearing and homely girl who respects elders, our traditions and cultures. She loves to travel and explore new places, fun loving and caring. Not a great cook but she can manage stuffs with the help of youtube and other websites.\r\nAbout her Family: - My father is from calicut and mother from manglore. Our father was working as an administrative officer in an eye hospital and now looking after the business. We are settled in Thrissur. my husband is a restaurateur and i am currently working in dubai as an optometrist. Education : Bachelor degree in audiology and speech pathology from jss institute, Mysore . working in uae as audiologist and speech therapist in a reputed hospita. !!!#!!! She is a well educated, bright, confident, lively and vivacious girl brought up with good family values. She was born in Mumbai, schooling done in Mumbai and Saudi Arabia. She has completed her graduation in Mass Media from Mumbai University and Masters in Event Mngt. from UK. after which she has worked as Events Manager with a Corporate Events Management company in Dubai.. She is currently working in Mumbai as an Events professional. 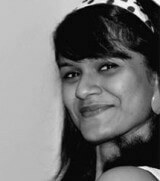 About her Family : We are a Mumbai based Malayali middle class family with high family values. I (her father) am currently working in Saudi Arabia and staying here with my wife. We have three daughters, all of whom stay in Mumbai. Our elder daughter is a working professional and our youngest daughter is pursuing Architecture.\r\n We are looking out for a suitable life partner and companion for her with a matching outlook and interests as hers. We would like to know more and meet a suitable boy for her of Indian origin (preferably Mumbai born & based) working in UK, Australia, USA, Singapore or India. .!!!#!!! 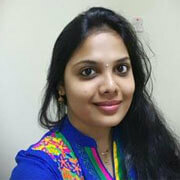 She has settled in Banglore and working in Banglore. 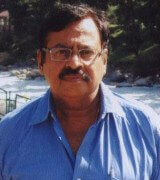 We are looking for a guy who is settled in Banglore with his family. !!!#!!! My daughter has completed schooling from CBSE board in Delhi. B.A. , M.A. and M.Phil in English Literature from Delhi University. Went on Fulbright Scholarship to study in U.S. for a year. 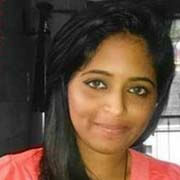 She is working as lecturer with DU and My daughter teaches as an Assistant Professor of English in a college in University of Delhi and is extremely passionate and ambitious about her career, is caring and friendly towards her loved ones and looks forward to meeting a happy and accommodating person in her life partner. Looking for a smart, well educated, settled, caring & amiable boy with good family background. He should be understanding. He should be trust worthy and responsible person. !!!#!!! I have MBA/ PGDM. 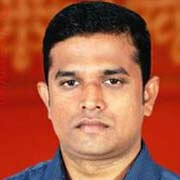 I am a Consultant I am presently working in private sector in Pune ear 15-20 lakh . I belong to an upper middle class , nulear family with moderate values. I live in pune since 2005. I will either be the one playing my guitar or making then doble up with laughter. I m lovable person. I belong to a respectable family. We are looking for suitable match from our community. He is dynamic, educated and well to do person from a decent family. he is very sincere, intelligent, hard working. he has done MBA from Bombay. & he has his own Business. Earning 10 LPA. !!!&!!! 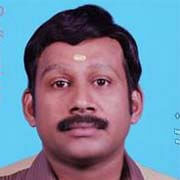 We are Hindu Malayalam, presently working in Bahrain.Suitable Match Required, Caste no bar. MY TIME IS MY VALUE, ENJOY LIFE, I DON'T LIKE DRINKING AND SMOKING, BELIEVE MY SELF, I AM WORKING A INSURANCE CONSULTANT, I AM OPEN MIND. I LIKE TRAVELING, DRIVING, MOVIES, TV OUR FAMILY SMALL AND HAPPY, MOTHER HOUSE WIFE, FATHER RETIRED, I HAVE ONLY ONE SISTER SHE IS MARRIED, OUR PROPER AND SETTLED IN PALAKKAD. B.COM SELF EMPLOYEE!!!#!!! My son has done MBA , PGDM , currently working in MNC . We are searching for a well qualified , working / Non working match. I has a person being a family oriented and handles thing in proper manner whether it should personal /official matter. A family which hold my Mother and me, that its. 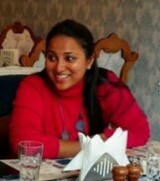 MBA FROM IBMS PERSUING SAP-MM Working for an Major OIL/GAS MNC IN ABU DHABI!!!#!!! 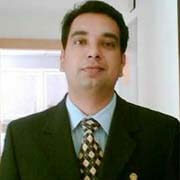 He has done MBA and he is working in Marketing Profession. his earning 10 LPA. he like traveling and little adventurous trips and try to plan them whenever possible. looking a B.Arch, B.E/B.Tech qualified / Top Management (CXO, M.D. etc.) / Christian: Catholic - Roman / Bangalore matches. !!!#!!! 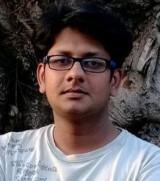 Hello myself Sandeep shaji . I work in MNC (Oil petroleum industry). Earning 10 LPA. I am smart, handsome, good looking, co-operative, loving, caring, understanding and intelligent, nice personality boy. I like drive, sightseeing, watching movie, spend time with family in free time. My family belongs to Kerla. My father business man and my mother house wife. 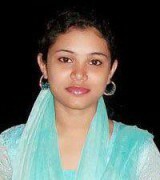 I m seeking well educated, simple, responsible girl near Kerala matches. NO DEMANDS. I am a B.Tech; MBA ; Degree Holder. Working as Executive Engineer in Central Government [Senior Scale Gazetted Officer]. Was rank holder in SSLC, PDC, B.Tech & Having Complete Clean Habits NON-SMOKER & NON- DRINKER..I am the LONE son of my parents. No Brothers. No. Sisters.. Hails from a Traditionally Rich , & Well Educated Family Having Really Very High Moral Values. Assets Worth Crores Of Rupees. Very Loving, Caring & Affectionate Type.. First Marriage only for Very Few Days. Looks very young, Excellent Character & Really Very Pleasing My Parents Are Well Educated. Mother Retired as Government High School Head Mistress.I Am The Only Son. Ours is a Traditionally Rich & Educated Family, Having High Moral Values. B.Tech; MBA; first class with distinction.\r\nEXECUTIVE ENGINEER IN CENTRAL GOVERNMENT [ SENIOR SCALE GAZETTED OFFICER !!!#!!! From good family background, one sister and brother , all r married and well settled... done Civil Eng. Reasonable modern life style. 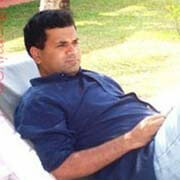 Interested in sports and fitness activities.. My parents settled in kerala along with my only brother. My only sister settled in US Done civil eng and now in the field of building appartments. Doing business in the field of construction.!!!#!!! very confident person belonging to a well respected family. I believe in living in the present but with an eye on the future. I am a marketing by profession with own firm. in Mumbai. 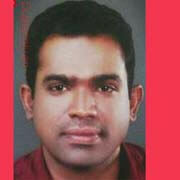 I have been brought up in Kerala, and currently put up in Tarapur. (Maharashtra). We have own business which is export oriented.!!!#!!! Dulhemiyan.com is a very fast growing almost Free Indian Matrimonial Website providing Matrimony Services to Hindu, Muslim, Sikh, Jain ,Christian, Parsi & Jews. Marriage needs of all mother tongues viz: Assamese, Bengali , Gujarati , Kannada, Marathi , Malayalam , Oriya , Punjabi , Sindhi , Tamil , Telugu , Urdu are met here . Good quality Life Partners for all castes like Agarwal, Kayastha, Punjabi, Tyagi, Brahmin, Yadav, Gujjar, Jat, Muslim, Jatav, Vaishya, Rajput, Kurmi, Reddy, Nair & all other are available on our Matrimonial site. We are The Best and cheapest Online Matrimonial Service Provider to lacs of people in India and abroad.